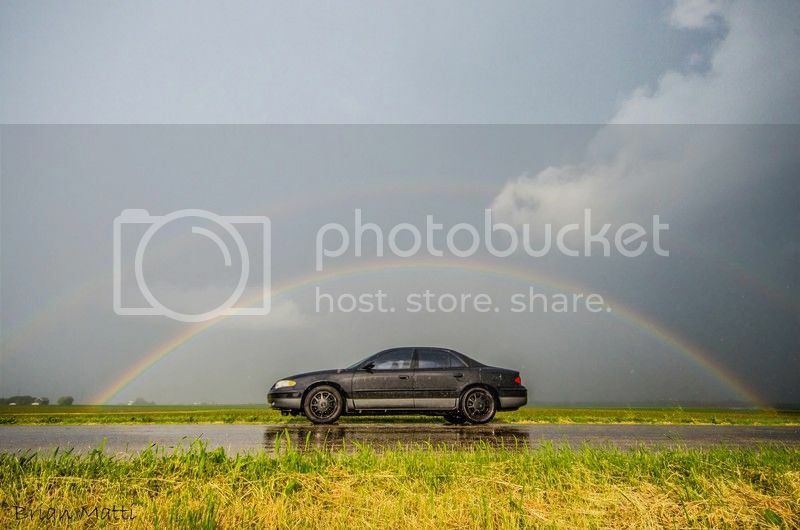 Was out storm chasing and rain started coming down and a rainbow appeared right over my car so I framed it and took pics. Mook, IDAFC21, SleeperLS and 7 others like this. It's a double rainbow all the way . That's awesome. Get that shared on the news. I put it on Tom Skillings FB page so maybe it will be on tomorrow. My gf's sunset pic will probably be on as well. If guns cause crime, then all of mine are defective. Love that ... perfect timing. pretty rare to be able to catch something like that! apparently rainbows only shine over the best version wbodies??? See!!??!? Living proof that 3800's are teh ghey! Yaj Yak and The Broken Regal like this. saw this on a few fb groups, awesome shot! Skilling show you some love?